Swordfish is more meaty than most other fishes. So meaty in fact, that if the swordfish is really fresh and you cut away the ‘blood meat’, you could probably fool someone into thinking he’s eating meat rather than fish. There is one issue with swordfish and that is that it is often overcooked and dry. With swordfish this happens even more often that with other types of fish. 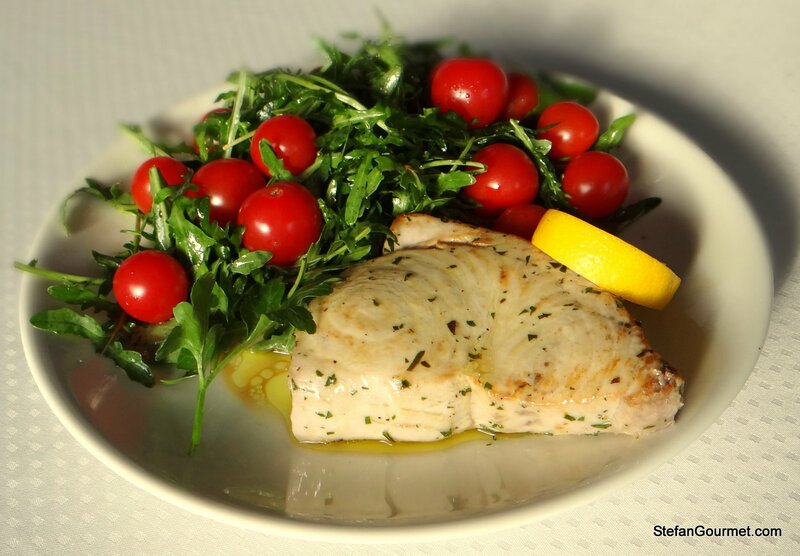 By cooking the swordfish sous-vide, it will be very tender and juicy without risk of overcooking. 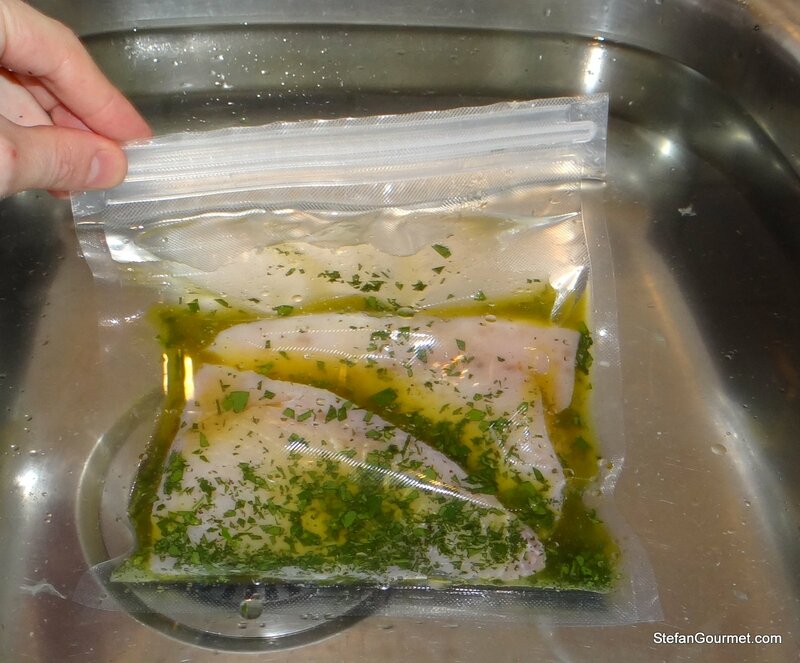 The nice thing about cooking fish sous-vide is that it only takes a short time, so it is possible to cook the fish sous-vide without having a sous-vide water bath. You only need a digital thermometer for this to work. 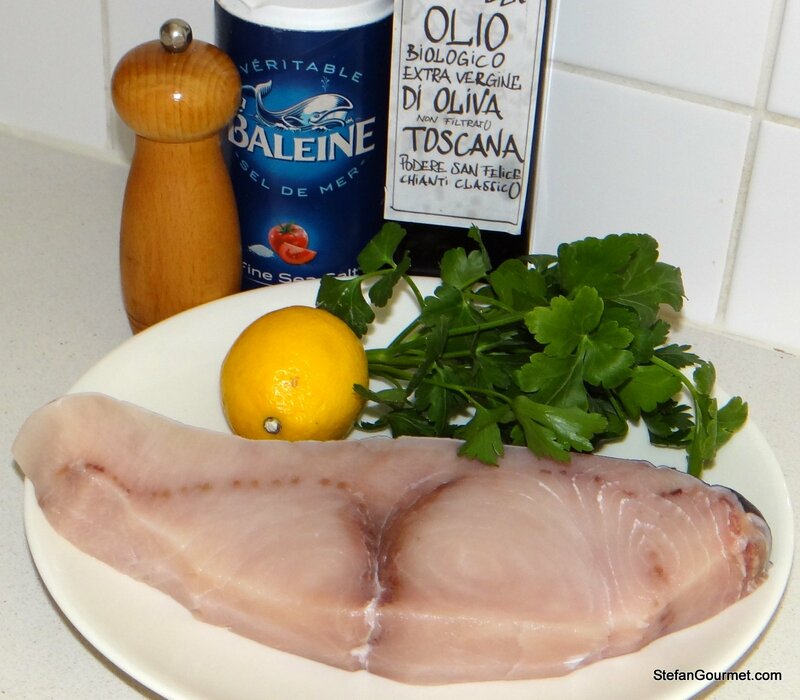 Swordfish combines well with an Italian marinade called Salmoriglio, consisting of extra virgin olive oil, parsley, and lemon juice. You could also add garlic and fresh oregano, but I preferred to keep it simple. Juice half the lemon and reserve the other half for garnish. 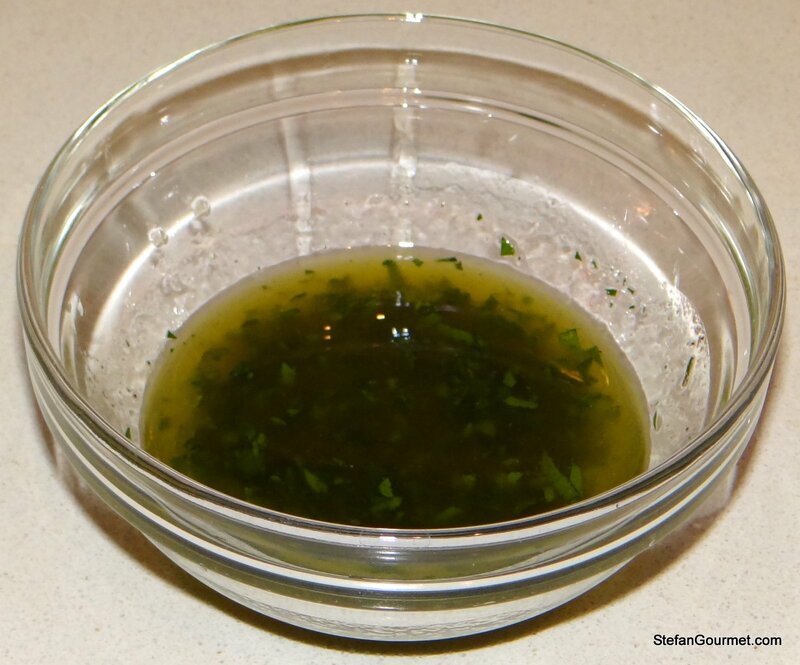 Combine 4 Tbsp olive oil with 2 Tbsp lemon juice, 2 Tbsp parsley, salt, and freshly ground black pepper in a bowl and mix. 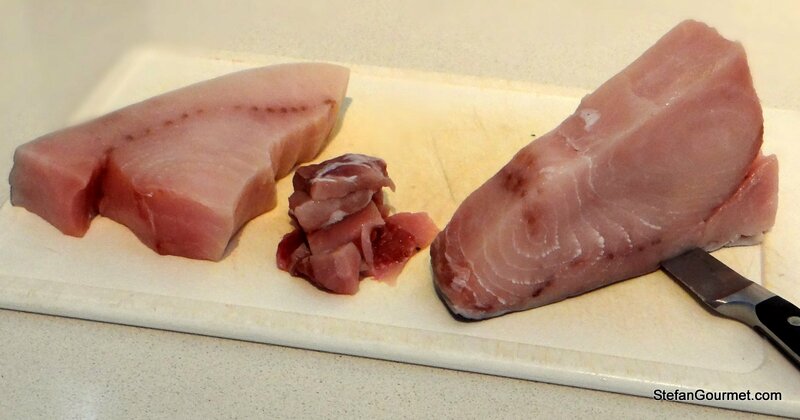 Cut the red ‘blood meat’ out of the swordfish and discard. It has an unpleasant fishy taste. Remove the skin as well. 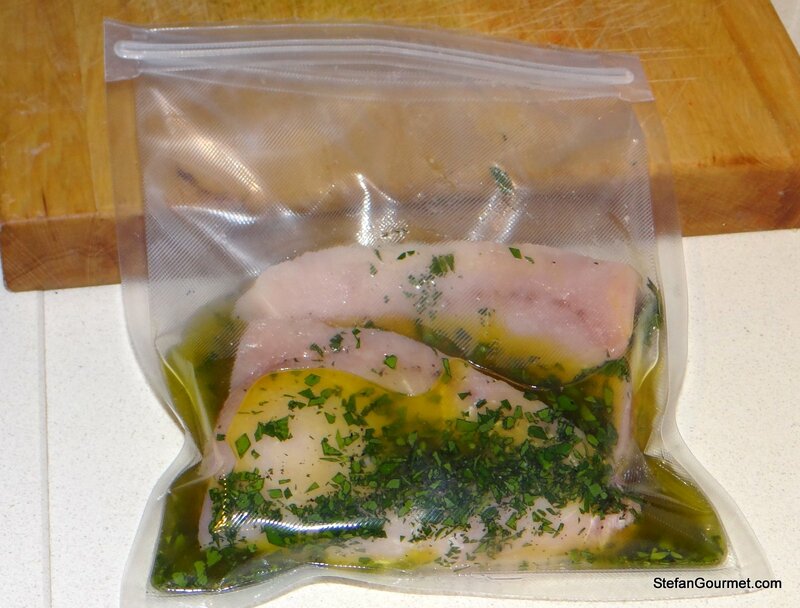 Put the swordfish in a ziploc bag and add the marinade. Submerge the bag into cold water such that the air will leave the bag. Close the bag when only the zip is above the water with as little air in the bag as possible. This is called the water displacement method. Refrigerate for an hour to marinade. Meanwhile, heat up your sous-vide water bath to 50C/122F or heat a large pot with water to the same temperature (using a digital thermometer). 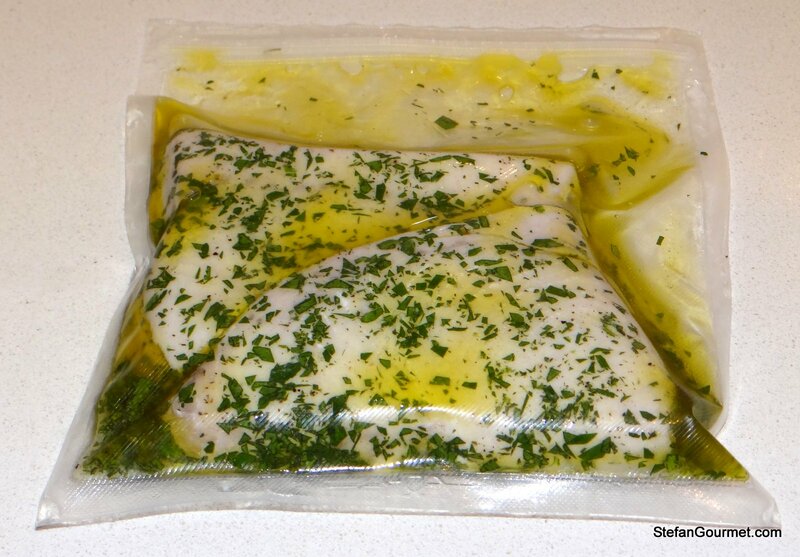 After the marinating time, cook the fish sous-vide at 50C/122F for 15-20 minutes. When using a pot with water, monitor the temperature with a digital thermometer and keep it as closely as possible to 50C/122F. You should get good results if you managed to keep it between 48C/118F and 52C/125F. When the swordfish is cooked, pat dry with paper towels. 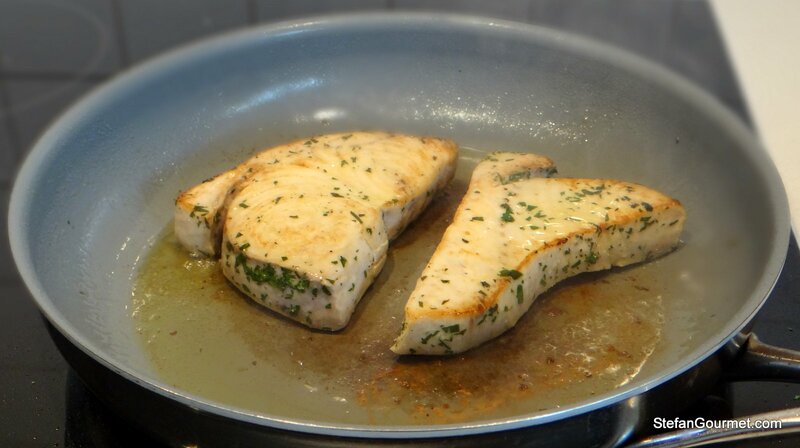 Brown the swordfish quickly over high heat in the remaining 1 Tbsp of olive oil, no more than 30 seconds per side. Serve immediately with some lemon. If you like you can sprinkle with fresh parsley and drizzle with some more extra virgin olive oil. 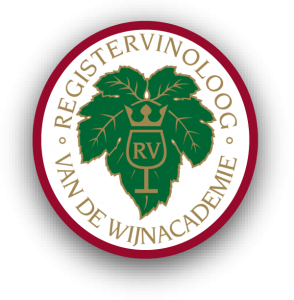 This pairs well with a fresh dry Italian white, such as Vermentino. That water displacement technique is clever. I wouldn’t have thought of that! I bet shark would be lovely this way too! Probably — I’ve never seen it in these parts. All I can say is yummy,yummy,yummy you are another talented cook. Thank you sharing your skillz. Thank you for visiting and leaving such a nice compliment! Love the flavor profile and sous vide does a wonderful job poaching the fish. In fact, it may be my favorite use of the sous vide technique. With the significant amount of citric acid from the lemon would you not be better off with a shorter marinating time? 😀 Funny how life is that way. BTW, have you gotten your package? Nothing yet. I’ll be sure to let you know! Thank you for sharing this! I just tried and it worked out exactly as you presented and delighted everyone. With the low temp and short time, I was able to share the bath with other courses that I was rewarming of keeping parked at a good serving temp. Great to hear! Thanks for taking the time to let me know. I just made this tonight having found myself with some swordfish and no idea what to do with it, and it was really good (though I cooked it half an hour because I can’t read, apparently). Served with spinach puree and fried mushrooms. Thanks! Thanks for taking the time to leave such a nice message. Great to hear you liked it. The nice thing about sous-vide is that cooking half an hour instead of 20 minutes does not make that big a difference. But I also like a grilly taste on the fish (and some nice dark brown grid lines on both sides) You suggest to brown it very quickly (30 secs) in oil. What if I put on a hot BBQ grid? Shorter in the sous-vide? Not or shorter marinating before? The BBQ grid will have to be very very hot for best results. Best to use charcoal instead of gas or briquettes. Make sure you cannot hold your hand where the swordfish is going to be for longer than a second, otherwise it is not hot enough. 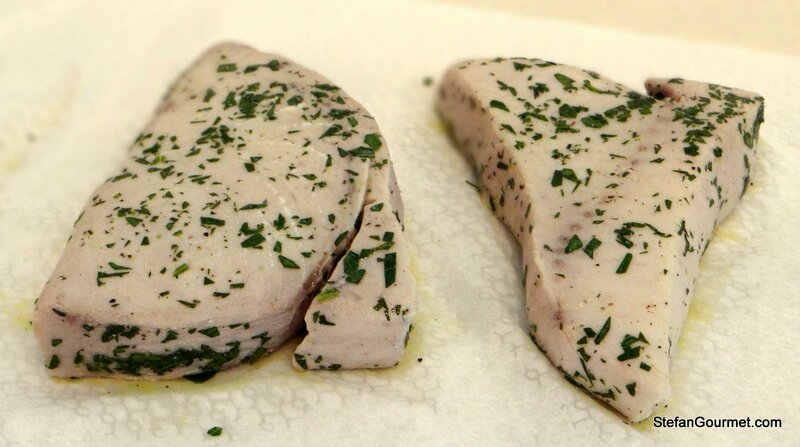 The sous-vide and marinating steps can remain the same, but I would allow the swordfish to cool after cooking sous-vide for 10 minutes or so, so it won’t be overcooked. If the BBQ grid is hot enough, a minute per side should do. It also helps of course if the swordfish steak is nice and thick. Would love to hear how it turns out! t turned out really well. I used on a little Cobb table BBQ and a homemade griddle.Together with some herb tagliatelle and lemon mayonnaise it was a quick and tasty dinner! More heat and longer cooking time needed. I love this receipe and have done it several times. Other sous vide receipes range from a low heat of 122 to 130 degrees. The 122 and 20 minutes resulted in a very moist some parts bordering on raw. All corrected by increasing to 126 degrees for 30min.